Commercial Window Cleaning - Looking for a company that is hard working, trustworthy, dependable and shows up when they are supposed to? Look no further than Portland Window Cleaning. We are here to help and provide excellent service. Welcome to the home of Portland Window Cleaning. With nearly 20 years in the professional window cleaning industry, Portland Window Cleaning is here to service the needs of our clients. 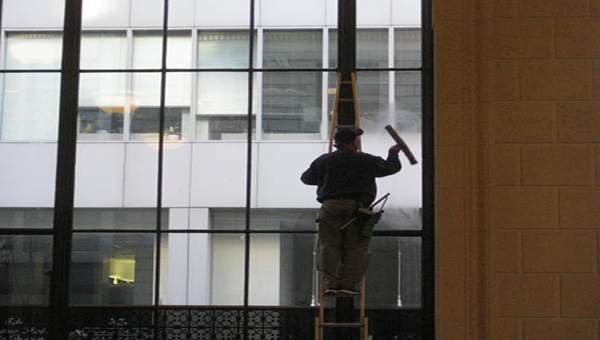 Portland Window Cleaning specializes in Residential and Commercial window cleaning in Portland, Oregon and surrounding cities. Please take a moment to fill out our online estimate request form and will get back to you as quickly as possible. Most times within 15 minutes or less. You can also call our office at 503-484-4709.